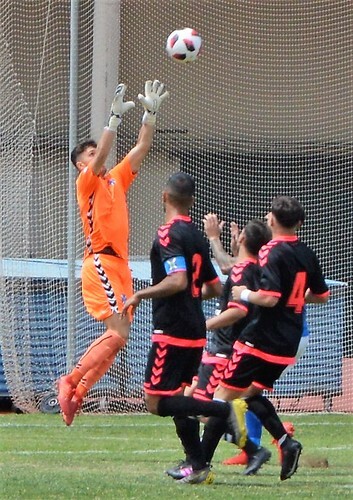 Clear chances were at a premium in the 0-0 draw between CD Marino and CD Tenerife B but when danger did call, both keepers, David of Marino, and Otaño of Tenerife met it with a safe pair of hands. Both teams were occupying mid table after early season promise had slipped away. Aleman looked hesitant in the heart of the visitors defence and was beaten easily by Ahmed before Otaño tidied up. Tenerife had a chance at the other end from a corner, Tito couldn´t connect with the ball as it came across. Sesma spotted home team mate Mylan in a good position and made the pass but his shot went wide. Tenerife were relying too much on hopeful long balls up the field, Torres raced to catch one but David reacted quicker. There was a blow for the away team when Samu was injured in a tackle, he tried to run it off before having to give way to sub Javi. 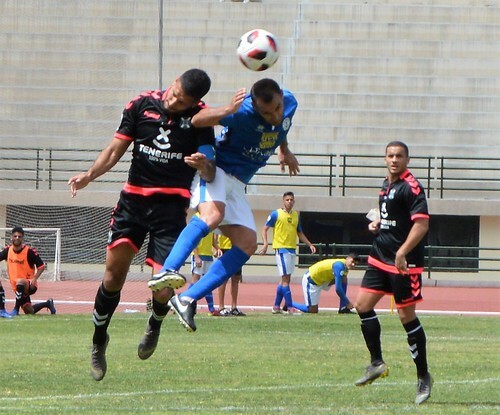 Another speculative ball from Tenerife was heading to Josue, Brayan read it well and made a strong intervention. Neither side could really find any consistency, twice the visitors were awarded free kicks and hit the ball straight into the defending wall. Saavedra tried his luck with a high long ball into the Tenerife box, Otaño was safely under it with a clean catch. 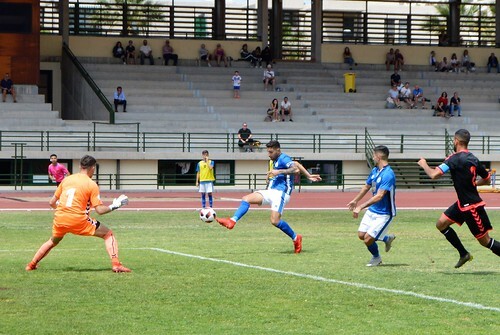 Tenerife left back Jeremi made a good run but his swinging cross was expertly covered by David in the home goal. Mylan had the last word for the half, he took the ball inside the away defence but the finish was just wide. Marino opened the second half with their tails up. 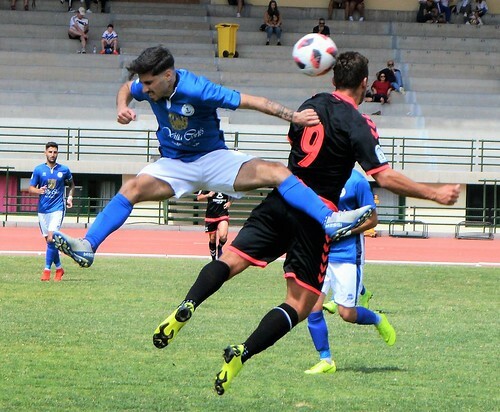 A free kick left the Tenerife defence scrambling and it was down to Otaño to deprieve Saavedra of a shot at close range. Both teams couldn´t make their free kicks count, Guti struck one straight at Otaño. 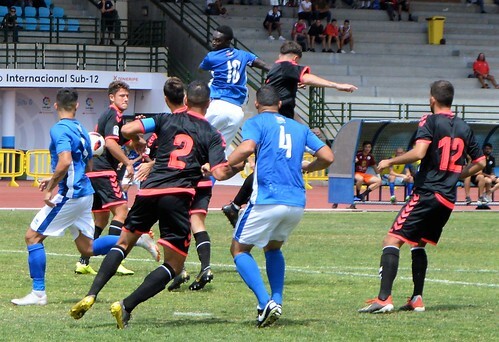 The game should have swung in favour of Tenerife when Bamba got a second booking and was sent off for Marino. The blues reorganised, bringing on Alberto for Mylan and they saw off an increased spell of pressure from their opponents. 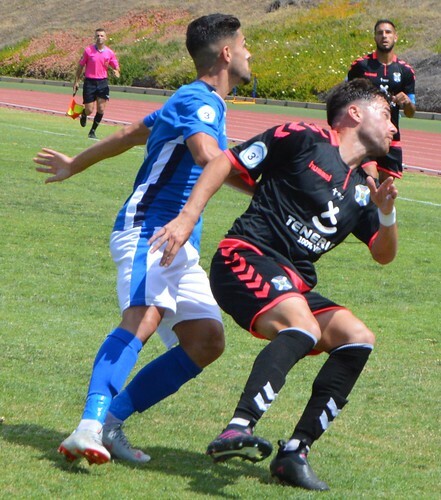 Tenerife captain, Fede, led by example as he pushed up from right back to help his forwards, he got a couple of good crosses in, again the finishing touch was missing. 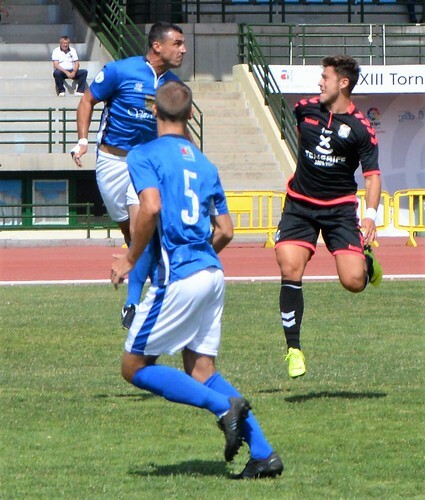 Borja Llarena and Adri entered the action as subs for Tenerife and both had a positive impact. 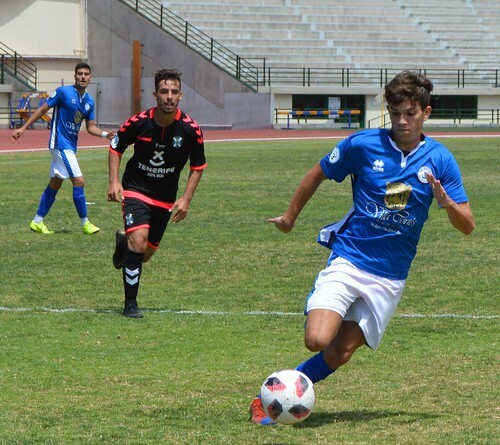 Borja, who played for the Tenerife first team at the end of last season, showed much more awareness and got into some good positions, he came close to scoring with a bullet header. Adri was tough in the tackle and hard to shake off the ball. Marino tried to shake things up to, Djavan was added to the attack in place of Ahmed. It revived the blues attacking urges, Brayan was well placed for a header but Otaño plucked the ball off his head. Torres made a breakaway for Tenerife, David was alert and showed that he intended to match the other stopper. It must have been quite daunting to the teams to come up against two goalies on top form, a curled free kick from Guti was snuffed out by Otaño, and Josue was out jumped at the other end by David. 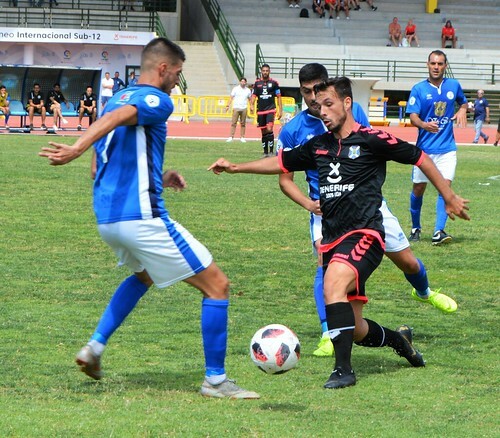 The final home sub, Jony, forced a couple of corners that Tenerife cleared, and deep in injury time Alberto couldn´t quite stretch to keep in an offside pass that evaded the refs whistle. It ended honours even, thanks in no small part, to the hard working keepers.